We are one stop interiors designing solutions firm with latest trends and space management as per our clients requirements. R&E helps clients in diverse markets worldwide articulate and align their business strategies and core values with the dynamic use of space. 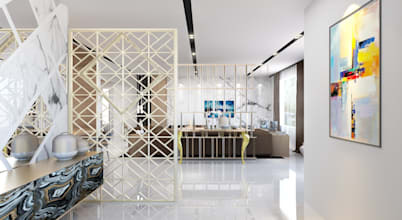 Crafted Spaces is a Design firm that undertakes Architectural and Interior Design Projects, Styled and Curated by Mitali Aharam and Supriya Lolayekar. 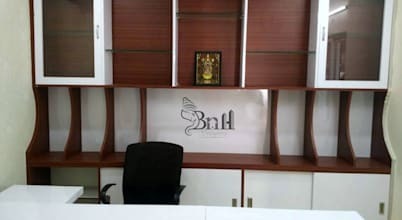 BNH DESIGNERS- We are highly enthusiastic Turnkey Interior Designing Professionals. 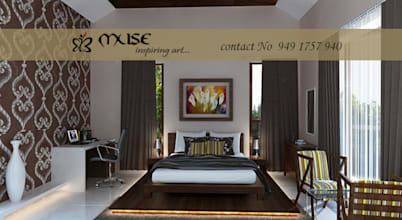 We undertake Complete Residential & Commercial Spaces (i.e. Having 10 years of professional experience as an architect, worked on various projects like residential commercial and IT office. 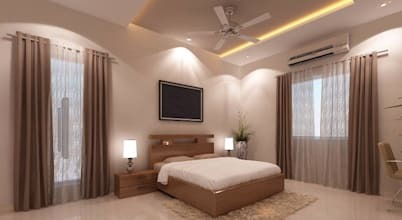 How can I benefit by hiring an interior architect in Hyderabad? Rich in history and culture, full of old Nizam era buildings, bustling with food, people and commerce,Hyderabad is one of India's most poignant and ancient reminiscences. 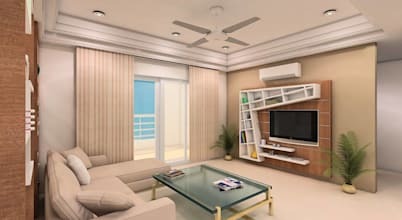 Essentially, architects and designers from Hyderabad derive a lot of inspiration from old classical architecture and try to merge it with the new modern form so that you feel at home in your own skin or rather space. For example, an interior architect can traditionally shape entrances, create extra rooms in the home or merge two rooms into one, creating a more spacious area. Interior architects also deal with key fixtures like lighting and window frames and ensures that the living areas are fully utilized. The interior architects will work either with the structure of your home as it is, using facilities and accessories to achieve the best possible use of the space, or completely redesign the amount and distribution of the rooms using the existing exterior or shell, whichever suits you best. Opting for an interior architect is a great idea in Hyderabad when it comes to redecorating either a full house or just one of the rooms. At homify you will find inspiring suggestions for hiring interior architects in Hyderabad. 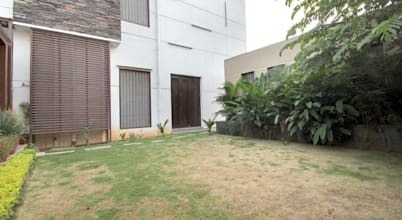 Notable architectural firms in Hyderabad include Kreative House, Studio B.A.D, The Inner Story, Bluebell Interiors, Saloni Narayankar Interiors and BNH Designers. At what point do I need an interior architect? 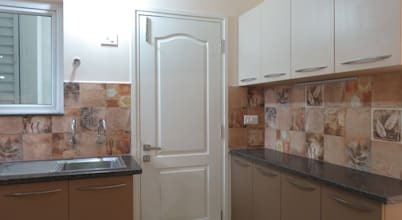 Architects are not only useful with the exterior of a building, designing your kitchen or improving your bathroom. 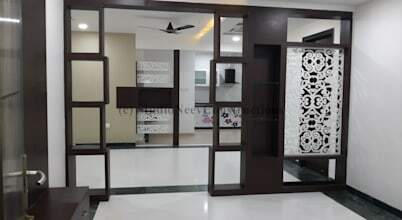 An interior architect is needed to ensure that living areas are maximized, storage spaces are optimised and there is enough space to include a Pooja corner according to right Vastu rules. 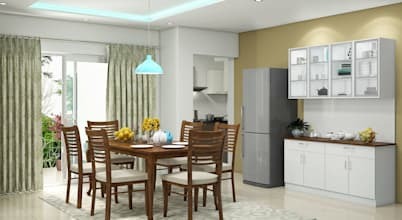 Interior architects will work, either with the structure of your house as it is, using facilities and accessories to achieve the best possible use of the space, or will completely redesign the quantity and distribution of the rooms using the existing exterior or shell, that suits better. They can also provide you news of amendments with the Telengana state coming into effect like in case of plots abutting to the road existing all around KBR park there would be no height restriction subject to road width requirement. Also in Hyderabad under regulations, stilt floor can be exclusively utilized for parking purpose only and where parking floors are provided above ground floor, the height of the parking floors shall be excluded while reckoning the height of the building. Which design services do interior architects in Hyderabad provide? 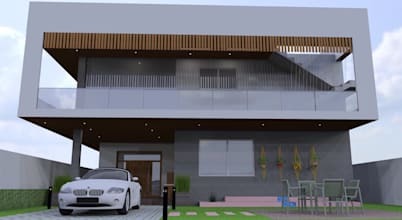 Professional design services which are provided by interior architects in Hyderabad range from beach resorts to car show room and residential projects. 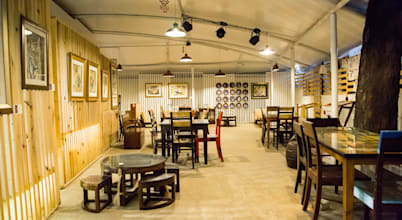 Some interior architectural firms specialise in flooring, false ceilings, painting, wall tiles, wood work and furniture. A room should be aesthetically pleasing, and interior architects will make sure that is achieved by making sure that all materials used are not only durable but also attractive. 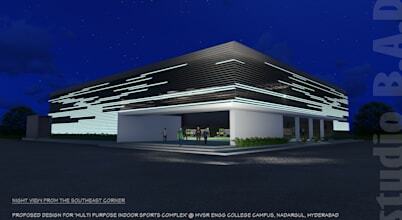 What kind of certifications are required of interior architects in Hyderabad? Like most other cities in India, interior architects in Hyderabad are required by the Council of Architecture (COA) to have a recognised degree, sufficient training and also adequate experience for the project that is underway. He must also have a license and three years experience in his work.Take note that certain type of projects and services require different certifications and licenses. The COA registration service also provides accreditation for institutions providing the degree of architecture, which is minimum five years duration including professional practice for 16 working weeks. When hiring international architectural firms, keep in mind that they are not allowed to provide direct services in India and may only participate through joint ventures with Indian architecture firms. 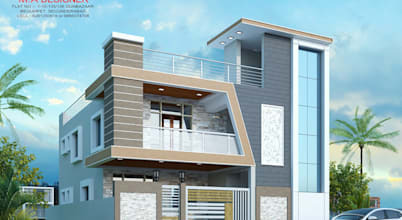 To get an architectural plan approved for a local project, an Indian partner (registered Indian architect) has to sign. 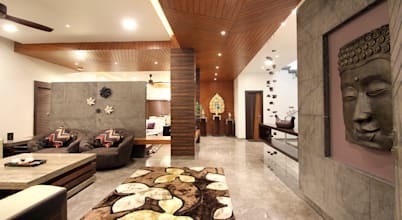 What does hiring an interior architect cost in Hyderabad? Most of the interior architects in cities like Hyderabad charge INR 40 to 400 per square foot, depending on the project and requirements. 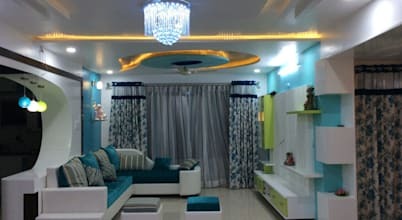 Residential projects, like your standard 2BHK or 3BHK, are on the cheaper side, and budget-conscious design firms usually charge around 50 rupees per square feet carpet area to make your home look and feel stunning. 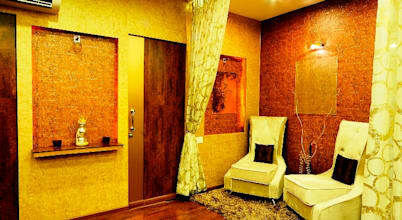 Premium residential design services can cost upwards of Rs. 100 per square foot. 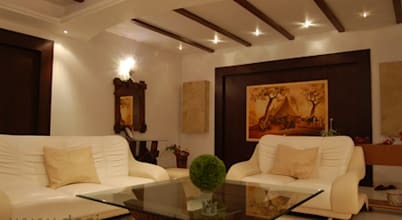 Furthermore, the costs vary depending on the areas or types of rooms you would like to get designed. And obviously, charges depend on the experience/portfolio of your designer as well as the city in which they operate. 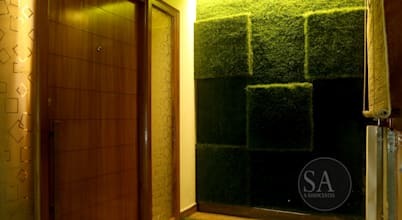 Thus, for a 2BHK (all rooms) of 1000 square foot carpet area, the fee for a budget-conscious design firm would be around INR 50,000. Similarly, getting an entire 3BHK designed would typically cost approximately INR 75,000. 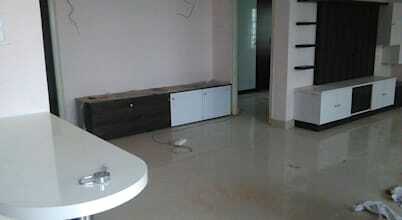 Premium services can cost around 1,00,000/- to 1,50,000/- respectively, for a 2BHK and 3BHK. What is the right way to prepare for the first appointment with an interior architect? Make sure you have a clear idea of your project and budget, perhaps with a little margin of slack when in case the interior architect has a very good idea that will look amazing, but which will cost a little more than you initially thought to spend. Be clear about the upfront amount and what you are going to pay later. Give the designer room to talk about his/her budget and the two of you should come to a consensus. Interior architects have been trained to design spaces according to the way they will be used. So, thinking very carefully about the use you want to give to each essential space of your house is also something to consider when preparing for your first interview with an interior architect. Also consider that family members, friends, and real estate agents play a vital role in giving out information about professionals they trust. They can refer to you the interior architects who provided high-quality work to them.